Showcased will be a dazzling array of FINE ART, MUSIC, CARS, FILM , and FASHIONS of a bygone era, as well as a tour of old-time “speakeasys” like Proof, that still stand today! 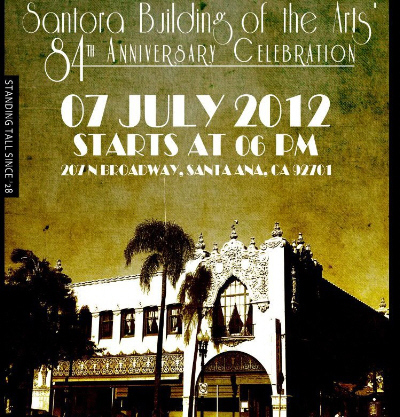 JULY 7 – A ROARING 20’S ERA OPEN HOUSE featuring Live Music, Fine Art, Deco-inspired Costumes and other nostalgic touches. Meet the 2012 King of the Santora! JULY 21- A SPECIAL VIP EVENT….STAY TUNED FOR MORE DETAILS! AVANTGARDEN is celebrating with lots of new work and new artists: jewelry artists Margaret Aden and Douglas Brett, and abstract painter Elena Bulatova! OCCCA features: Maldita Frontera, Ramon Carrillo, Pablo Castaneda, Eduardo Kintera, Fernando Garcia Rivas, Artists from Mexicali, B.C. Mexico. July 7 – 28th, 2012. Opening Reception: July 7th, 2012. 6pm to 10pm. Grand Central Art Center is pleased to present ISM: 10 Year Celebration, an exhibition accompanied by a retrospective book to celebrate ISM: A Community Project for 10 years of creativity and accomplishments. R.E.D. 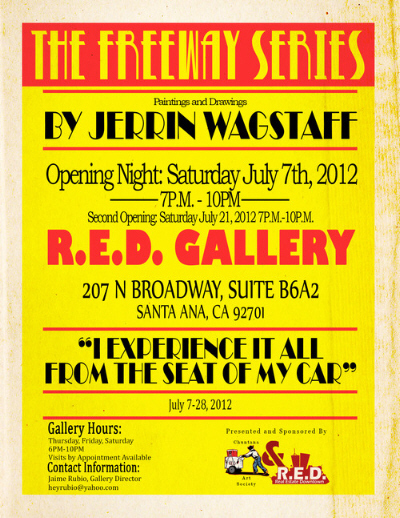 Gallery is pleased to present “The Freeway Series,” a show of recent paintings and drawings by Jerrin Wagstaff. 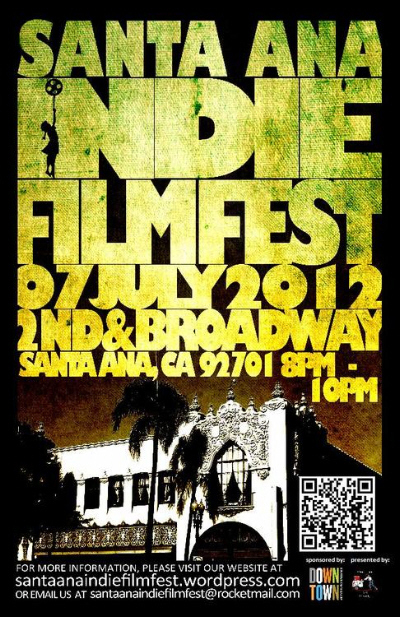 The Santa Ana Indie Film Fest is finally here! We cordially invite you to enjoy an evening filled with a variety of short films showcasing the talents of local directors, actors, cinematographers and producers! « Northeast Santa Ana Little League’s 11-year-olds to play in finals tomorrow! Come on down to hang with your favorite Nemesis, Ms. Alicia and Co. You can time warp your self to a pre- artist village, and allow yourself to have all the fun you would normally deny yourself. You can have some cake and eat it too. 7:00 p.m.